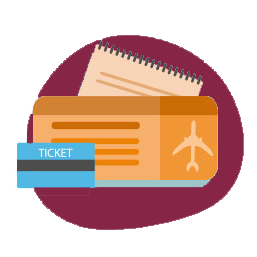 Our ticket is used for Proof Of Onward Travel and for Visa Purpose. Don’t hesitate, get started right away! A handling fee of $1.99 will be added to your order if you enable this option. Your ticket will be booked and delivered at the time you schedule below. Disable this option if you want to receive your ticket and start the rent straight away (expect delays). Select the service that you want. Provide us your name, your desired date of Onward Ticket, departing and arrival airport and your email. After an order is made and you passed through the check out process, our bookers take care of everything. It’s that simple! 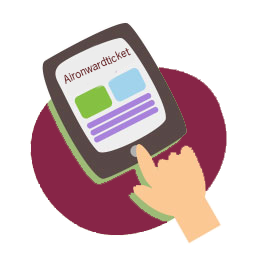 The Onward Ticket is sent to you by PDF via email and it’s valid for 36hours. You can check it on airlines website. Our policy lasts 2 days only. Unfortunately, if more than 2 days have gone by since your booking, we can’t offer you a refund. 1. 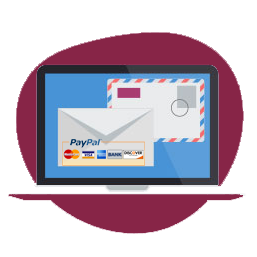 You have successfully made an order but your ticket did not arrive within 6 hours of you placing the order (provided your order was made within our office hours: 8AM – 10PM UTC+8). 2. We did not use your provided name, departure country correctly which makes your ticket invalid to be used as proof of your onward travel. 3. Your booking was processed but you did not receive any ticket (provided you contacted us to check and resend the ticket within one hour from the time your booking was processed). Refund doesn’t apply for order cancellations.